bartlett mitchell, one of the UK’s leading independent caterers, has retained its three-star Sustainable Restaurant Association (SRA) – achieving record sustainability scores for the business​ in several key areas. The company, which was the first caterer to achieve three-star success in 2014, was especially commended for its commitment to preserving and valuing natural resources, support for the community, treating staff fairly and supporting global farmers. In the last year, bartlett mitchell’s efforts to reduce its energy consumption per square foot of head office space through smart purchasing of energy saving equipment, such as new low energy lighting systems and energy economic printers, helped the business secure a 93% score for valuing natural resources (SRA average: 47%). The company’s community support, both locally and further afield, achieved a score of 95% (SRA average: 89%). In the past year, bartlett mitchell teams have continued their ongoing support of the Jannehkunda village in the Gambia by sponsoring education and fundraising to buy a milling machine, and raised more than £15,000 for charities such as Macmillan and Little Troopers. bartlett mitchell’s commitment to ensuring 100% of its direct employees are paid at least the London Living Wage or National Living Wage alongside its healthcare coverage for every permanent member of staff contributed to the company’s 92% score for fair treatment of staff scored (SRA average: 79%). bartlett mitchell’s 90% mark for its support of global farmers (SRA average: 79%) was driven by its premium and sustainable coffee brand Perkee. A collaboration with Soppexcca, a Nicaraguan-based cooperative, the coffee was launched with the aim of providing bartlett mitchell customers with a unique, ethical and tasty coffee. 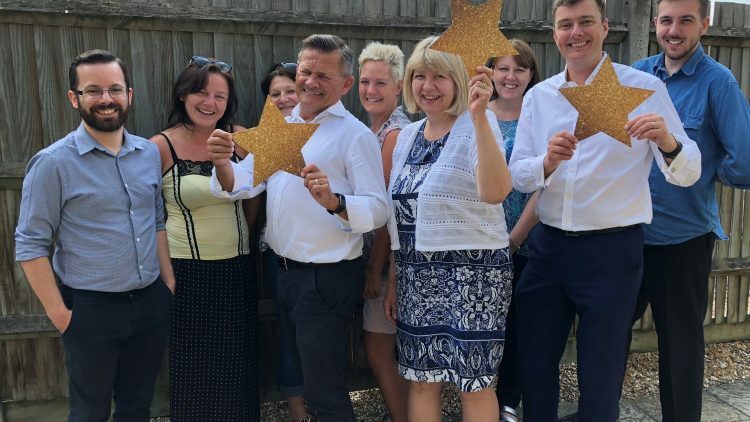 Wendy Bartlett, executive chairman at bartlett mitchell, said: “This recognition is testament to the fantastic efforts of our BM family across the board. We are really pleased to have achieved such fantastic ratings in so many key areas. “It must be said that, whilst this recognition is fantastic, the actual positive impacts our teams have made to so many lives and the environment is what drives us every day.